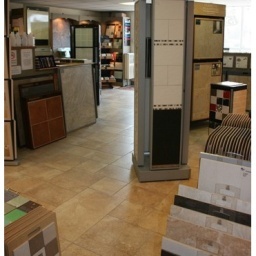 About Us Rossett Tiles Ltd established in 1984. 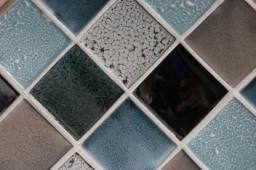 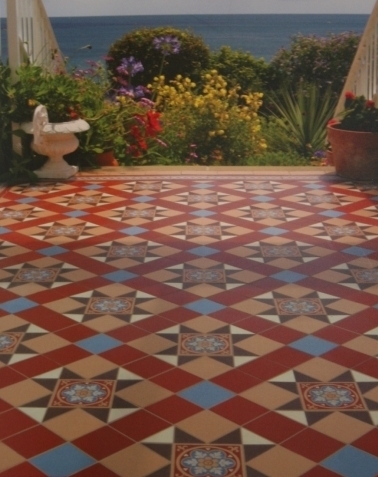 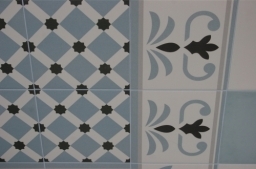 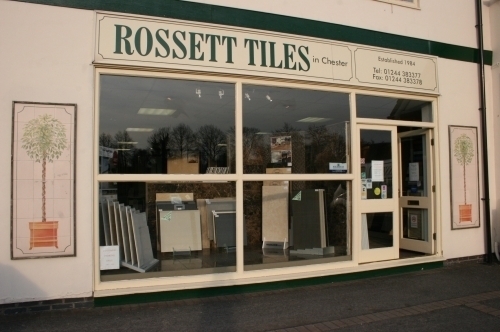 Mark and Pam started Rossett Tiles in a small shop in the village of Rossett. Our move to Chester in 1996 provided much needed extra showroom, storage and parking space. 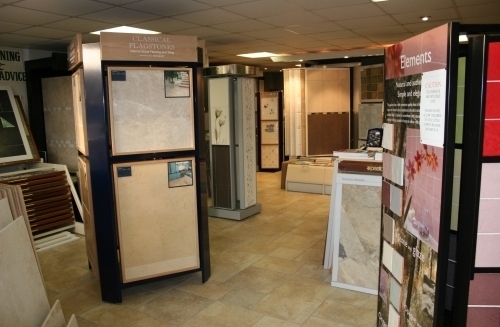 We have a large pleasant showroom (not a warehouse) with knowledgeable, experienced staff. 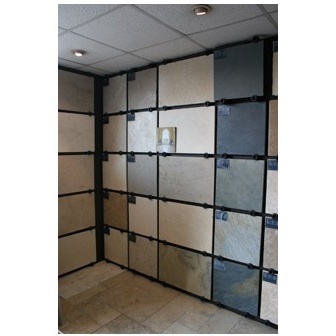 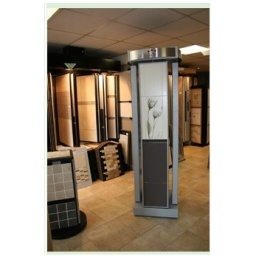 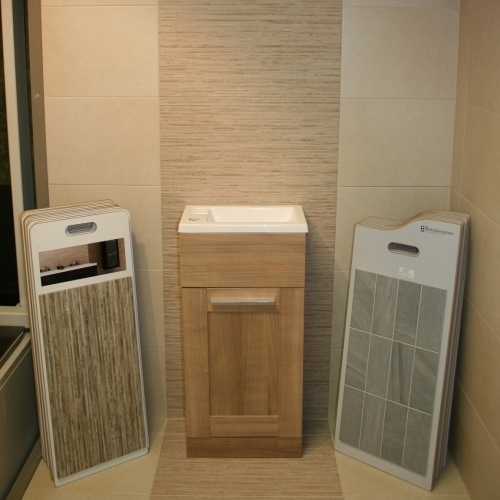 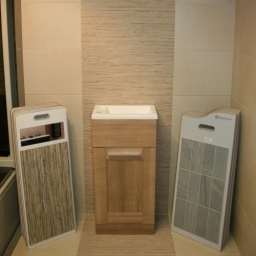 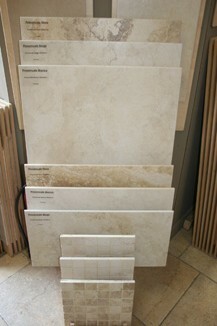 In our tile showroom we are very selective and only display quality tiles. 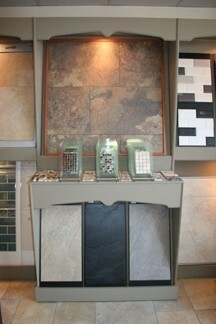 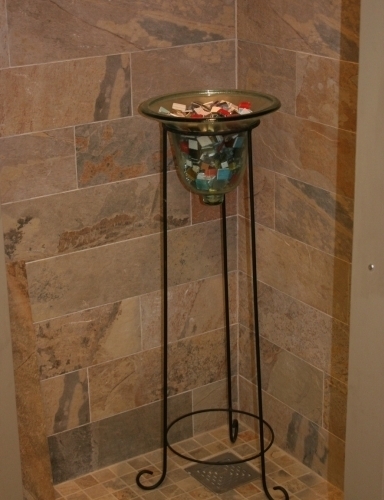 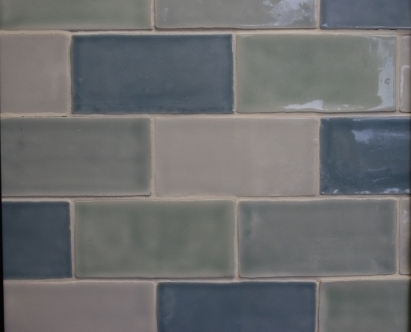 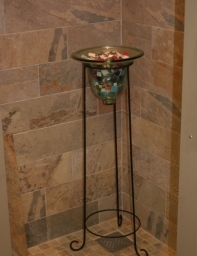 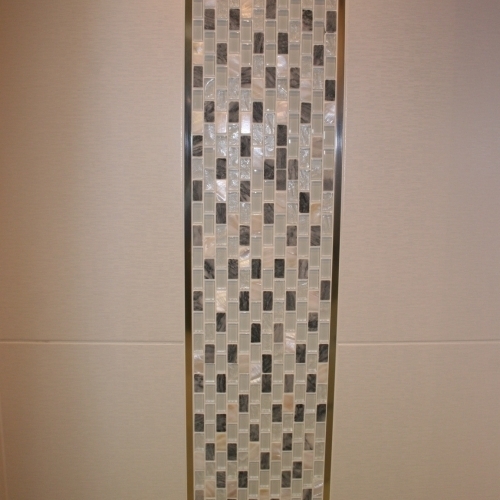 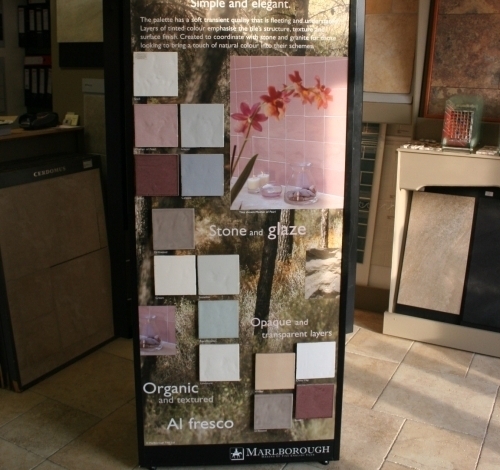 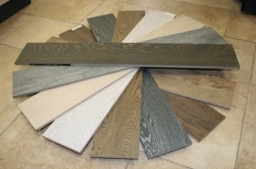 All samples are offered on a loan basis, we do not charge if you wish to take a tile or sample board home. Original style, Marlborough, Marazzi, Edimax, Winchester, Faro, Colorker, BCT, Decorum, Cerdomus, Emil, BAL, Lithofin, Weber, Classical Flagstones and much more. 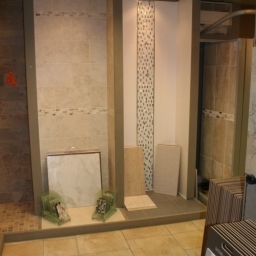 Specialist Services Top tile brands stocked by Rossett Tiles Ltd include victorian floor tiles, porcelain wall and floor tiles, glass tiles, mosaics, ceramic, limestone, travertine, marble, slate and quartz. 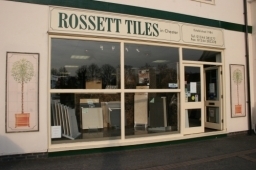 Our Services Rossett Tiles Ltd for quality tiles in Chester have knowledgeable experienced staff, excellent parking, planning and design, delivery service, installation advice, commercial and domestic, estimating service, our range caters for many situations both domestic and commercial. 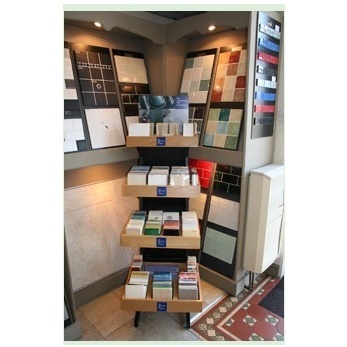 We also have a range of floor and wall tiles, bathrooms, kitchens, conservatories, hallways, living areas both traditional and contemporary. 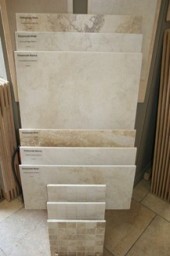 Ask about our Rossett recommended tilers for professional installation. 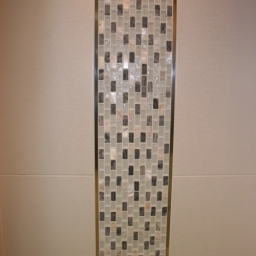 CONTEMPORARY IS IN !!! We now specialize in contemporary floor and wall tiles.